Make tweets flow on your screen. Is there a better alternative to TweetRain? Is TweetRain really the best app in Social Networking category? Will TweetRain work good on macOS 10.13.4? TweetRain displays your Twitter timeline and search results on your screen, flow from right to left. 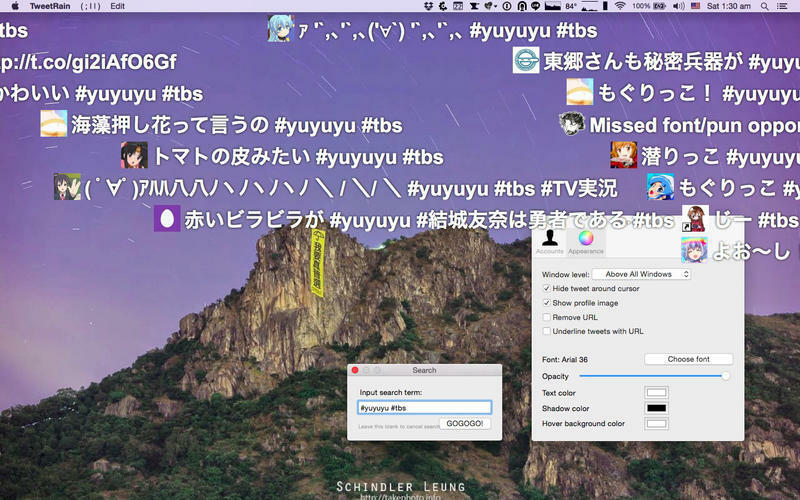 It allows you to enjoy your timeline in real time while doing other things, such as live commenting on a TV shows. TweetRain needs a rating. Be the first to rate this app and get the discussion started!